The Lady Clay Shooters made our second stop on the Tour de Clays at Blackwood Gun Club. Blackwood is a beautifully wooded course located off of FM 2854. 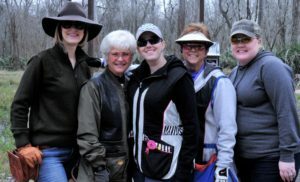 Although the weather was chilly, it didn’t stop the Lady Clay Shooters from having fun! 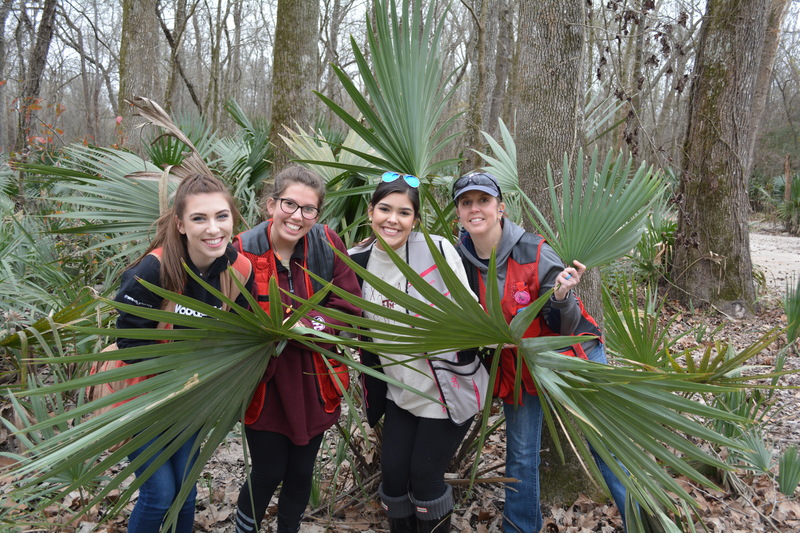 We were challenged with a variety of target presentations, and some of us even took the opportunity to hide behind palm fronds when we missed a shot. The owners won’t admit that there are wood fairies out on the course, but many of us were quite sure that they were out there stealing our targets. 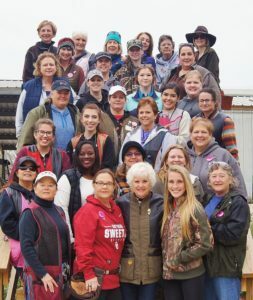 After shooting the 100 target course, the ladies sat down to hot bowls of homemade soups and chilis. And what meal wouldn’t be complete, without a variety of cookies and brownies? Not one of ours! 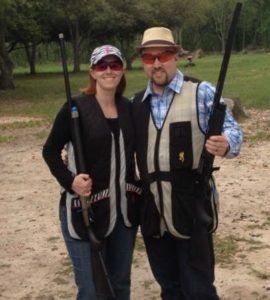 We visited, laughed, and dreamed of the next targets we would hit while warming up over lunch. 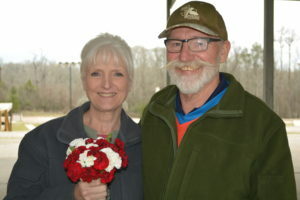 Since it was near to Valentines, bouquets of roses were given out to the lady who had been married the longest-Susie Hechler and to the youngest bride, Jennifer Grubbs.